Authored by ktatunov on Apr 23 2018, 1:32 PM. By default, QT uses fast transformations when scaling pixmaps but it results in a very pixelated image. 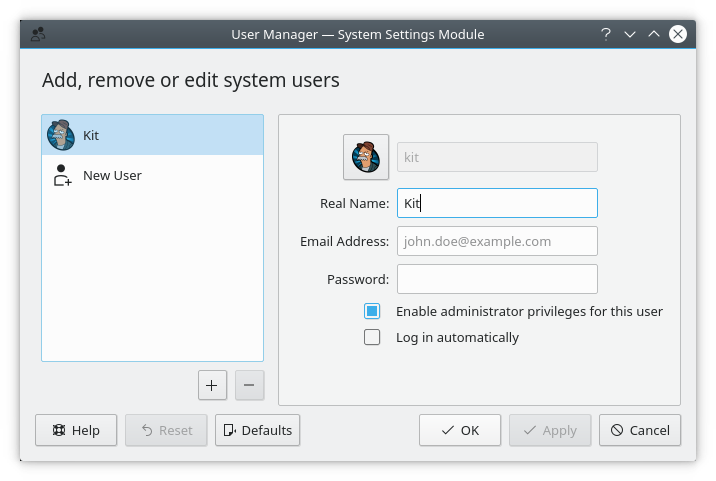 This patch fixes it for avatars in the user manager module. Resolution of the original avatar image is 256x256. I kept the default behaviour for this argument since it wasn't what I was after. But now that you mention it it would probably be better to use Qt::KeepAspectRatio. I don't think anyone likes their avatars stretched/squashed. Shall I change it to that? Could someone commit this for me please? I don't have a developer account.